I started off with a quick tea and a Bagel from my favorite Bake Shop this morning... Today’s Configuration: Leica M9 a Noctilux 50mm f/0.95, a Summilux 21mm f/1.4 and FujiFilm x100. Pieter got my cycling juices flowing yesterday... I went and got a new pump and a few bottles for my Giant TCR C2 street bike. 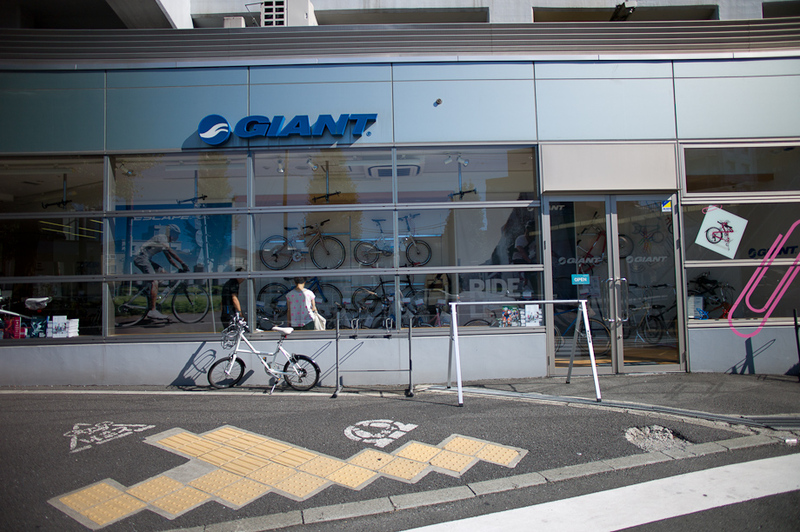 Giant Bike Shop in Toritsu Daigaku in Tokyo. This place is so thin... I need to go back when the light is in my favor a little more but still a neat shot. Check out the diamond shaped flare! I forgot how much of a sweat you can work up cycling... the first hill almost killed me. I had to stop and shoot this very cool old Ford. ...and 35 kilometers later I am almost home.